With more and more stores across Canada offering to match the price of competitors’ sale prices, the opportunity to save on groceries and other purchases has affected the way many of us shop. On the plus side, we’re saving money, sometimes on an extreme scale, and on the down side, the experience at the check-out counter can be a source of frustration for those waiting behind the savvy shopper who is stumbling through flyers to save on their purchase. We’ll now there’s a FLIPP side – increased savings and decreased time at the checkout counter. 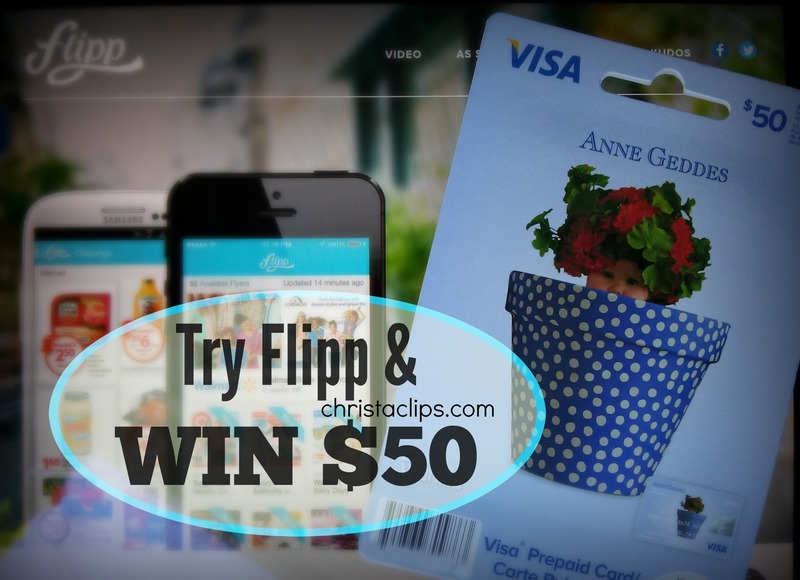 If you haven’t discovered Flipp yet, you’re in for a treat! Flipp saves time and money – it’s FREE, it’s easy, it has rocked the price-matching world! Flipp is an iOs and Android compatible app that lets you view store flyers, search for the lowest advertised price for an item, and clip all of your best sales onto a shopping list. Instead of lugging paper flyers along to show the best price for an item at the cashier, simply flash your mobile device or smart phone at the cashier and say “I’d like to price-match this item to this flyer”. It’s a price-match revolution! 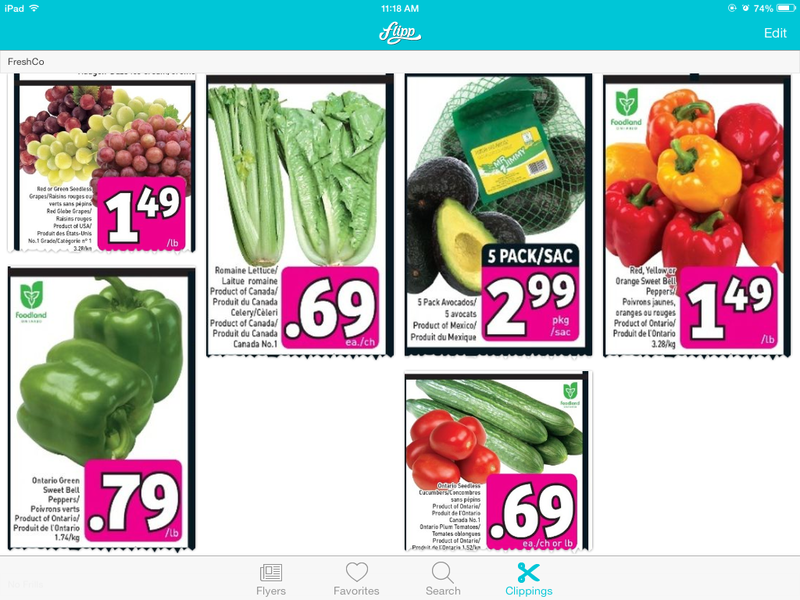 By price-matching the lowest price on fresh produce using the Flipp app, Christa Clips saves $10-$20 on groceries each week. That adds up to over $1000 a year! By price-matching with Flipp, our family saves $10-$20 on our fresh produce ALONE each week which adds up to over $1,000 in savings per year. A thousand dollars! So imagine the savings to be found on higher priced personal items like toilet paper, cleaning supplies, diapers, and razors – they’re always on sale, somewhere! And when it comes to shopping around for major purchase like appliances, electronics, and furniture – remember that if an item is listed in a flyer, Flipp will help you find out where it’s on sale for the best price this week. No more settling for “that seems like a good deal.” Flipp has changed the price-matching game so that we are confident that we’re paying the lowest possible price each week! My favourite part of using Flipp is that I can price-match these best prices at my local Walmart and enjoy all of these savings in a one-stop-shop. I place my groceries on the belt in the same order that they appear in my clippings list on Flipp, and then I scroll through and flash my phone at the cashier for each price adjustment. It’s SO fast! I dare say that most customers behind me are oblivious to the fact that I’m price-matching at all! Downy Unstopables Giveaway … with the best odds EVER! I’ve got my first ever Rafflecopter giveaway — yahoooo! Today I received this giNORMous bottle of Downy Unstopables in the mail for FREE and have another 10 e-mail invitations to e-mail out to blog followers for a FREE full size cannister for themselves! I earned this sample by updating my contact info on the P&G website and expressing an interest in Downy Unstopables. How easy is THAT?! This really is the biggest bottle of Unstopables I’ve ever seen … 555 g of pure pink bliss to add to your wash, one scoop at a time! If you haven’t tried it yet, this stuff really smells great (I’ve even heard of some folks putting a few beads in their vacuum cleaner to keep it smelling fresh!) and I’m ready to send out my e-mail invitations to my blog followers! Enter by introducing yourself in the comments below and tell me either how you found this blog or how YOU save in order to be a save-at-home-parent! Earn extra entries by following Christa Clips on Twitter and/or facebook and get mega entries (well, just 10!) for sharing the giveaway on Twitter. This is a flash giveaway with a short time period and any remaining cannisters (out of the 10) will go to my Mom! Told you, best odds EVER! If this is your first visit to Christa Clips: Save-at-Home-Mom, thanks for stopping by! I’m a new blogger and excited about spreading the word about how you can indeed choose to stay at home after parental leave by making some simple changes in your spending habits and lifestyle. Getting FREE stuff in the mail is one teensie-weensie part of that savings strategy, albeit the funnest one! 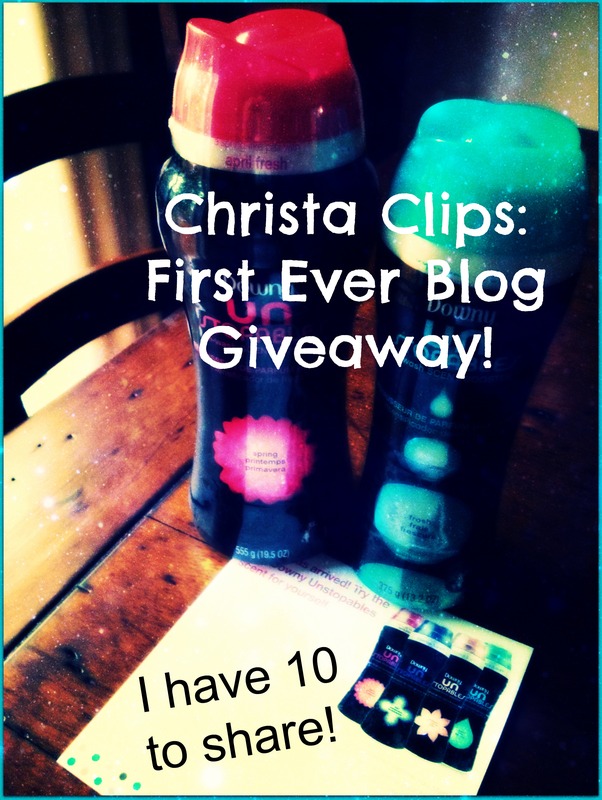 Good luck to all who enter, and welcome to Christa Clips: Save-at-Home-Mom … I hope you come back, often! This is a Rafflecopter giveaway… simply follow the steps they provide and be sure to use a valid e-mail address so I can contact you when you win!